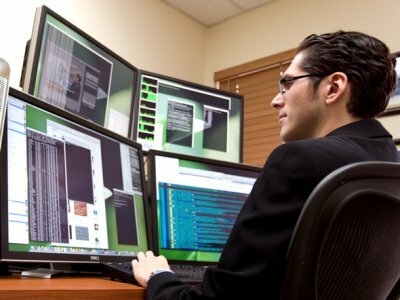 These are just a few of the jobs that adults on the autism spectrum would be good at. There are certainly many more! 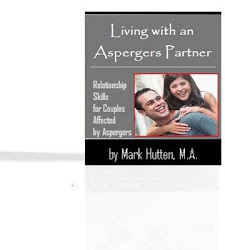 Segment from Mark Hutten's workshop for couples affected by Aspergers and High-Functioning Autism. Specifically looks at the relationship in which the woman is not on the autism spectrum, but her partner is -- and what the woman may experience when the relationship isn't going well. 1. Asking questions can help AS and HFA adults to survive in this world. Knowing how to find the information you need, and how to weed out the things you don't, is likely to be one of your best survival skills. However, never ask a question that you aren't prepared for an honest answer to. And if you aren't prepared for the answer you get, don’t over-react. 2. Be sure to pay attention to the issues your peers raise. Their comments may have something to do with the current environment or situation, or perhaps they are trying to verify things about the impression they have of you. If different individuals keep raising the same issue, it may be due to your image or appearance. 3. Conversation starters are called “icebreakers.” The best icebreakers are "open-ended questions." An open-ended question provides space for a long, varied answer (e.g., "So, what did you think about today’s meeting?). A close-ended question restricts answers to "yes" or "no" (e.g., "Did you like today’s meeting?). 4. 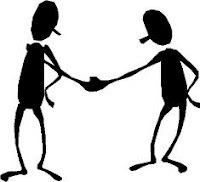 If you have difficulty starting a worthwhile conversation, it’s a good idea to think about the way other people introduce themselves to YOU in order to get a feel for how it’s done before trying it yourself. Also, it's best to have practiced your “conversation-starting” skills first with people who introduce themselves to you. 5. It’s especially important to be in a joyful, comfortable mood when meeting others for the first time. If you are going somewhere to meet new people, prepare yourself beforehand by thinking about things that make you happy and confident. 6. Know that if someone asks, “How are you doing?” … they probably don’t want to know the literal answer. This question is a way of judging another person's general attitude in the moment. A short answer is always best. If you want to make a good impression, an answer that indicates a positive and confident attitude is always a good response (e.g., "Doing great …how about you?”). 7. Learn to appreciate the fact that, during a conversation, people will often take turns to trade personal information in the hopes of learning more about each other and developing some rapport. The person you’re conversing with may elicit information from you either by asking direct questions or by disclosing personal information in the hopes of getting you to disclose similar information. 8. Realize that there are very good reasons to be careful about how deep you go into any given relationship. In fact, an ability to know when to stop going deeper may be one of your best survival skills. Most people will have expectations about how far they want to take any relationship that develops – and also how quickly. These expectations will change as the conversation develops, and it’s a bad idea to try to push this process further than the other individual wants to take it. 9. Understand that at any time during a conversation, the person you’re talking to may switch to another topic, switch back to small talk, or use a distraction to pull out of the conversation. This is normal. So, don’t take it personally! 10. While in a conversation, it’s important to try to develop an understanding of what the other person is thinking and feeling. This is “rapport,” which is a feeling of mutual understanding or trust and agreement between two individuals. Rapport is when both parties "get" each other or share a sense of "connection." Having AS or HFA can make it difficult to balance all these processes to manage acute anxiety. 1. Apply slow breathing techniques. Proper breathing habits are essential for good mental and physical health. Focus on your breathing pattern. Identify whether you breathe mainly through the chest or through the stomach. Short, shallow and rapid breaths from the upper chest should be avoided. Breathe deeply and slowly through the nose. You should feel greater movement in the stomach than the chest as you inhale and exhale. Practice breathing exercises every day. Learn to apply slow breathing as needed (e.g., when feeling anxious or angry). 2. Become aware of the major sources, or triggers, of acute anxiety in your life. First, keep an awareness diary for a few weeks that notes the date, time, event, severity, symptoms, and coping strategies you used to ease the situation. Second, categorize different acute anxiety situations as follows: unimportant, uncontrollable, important, or controllable. This can help you to stand back from your situation in order to view it more clearly and objectively. 3. Adopt a small set of coping skills, and then test them to see if they actually work. Identify what changes you can make to control the situation and reduce acute anxiety levels (e.g., using positive self-talk to develop an up-beat outlook toward a job interview, and then practicing this technique to gauge its effectiveness). 4. Gain some acceptance skills. This is acknowledging the acute anxiety and being realistic about its effects (e.g., what aspects are controllable/uncontrollable or important/unimportant). Get comfortable, and scan the body for tension. Begin to relax the uptight muscles. Then pick a favorite peaceful place which is real or imagined. Next, focus the imagination using all five senses. Lastly, use affirmations (e.g., repeating “I am letting go of tension and feeling peaceful”). Practice using visualization three times a day for about five minutes. This is usually easiest in the morning and at night in bed. Eventually, with practice you can use visualization in everyday situations when feeling anxious. 6. Use some action skills. This is actively making changes to counteract or reduce the level of acute anxiety. Follow through with an anxiety management plan and monitor acute anxiety levels (e.g., after a job interview, find a relaxing and enjoyable activity to wind down). 8. Work on your awareness skills. This is getting a clearer understanding of the situation and how it affects you (e.g., finding out what a job interview involves and what is required). 9. Start doing Yoga. Stress and anxiety are everywhere. If they're getting the best of you, you might want to hit the mat and give yoga a try. Yoga is a mind-body practice that combines stretching exercises, controlled breathing and relaxation. Yoga can help reduce stress, lower blood pressure and improve heart function – and anyone can do it! Yoga is considered a mind-body type of complementary and alternative medicine practice that brings together physical and mental disciplines to achieve peacefulness of body and mind, helping you relax and manage stress and anxiety. Yoga has many styles, forms and intensities. Hatha yoga, in particular, may be a good choice for stress management. Hatha is one of the most common styles of yoga, and beginners may like its slower pace and easier movements. But most individuals can benefit from any style of yoga — it's all about your personal preferences. Breathing: Controlling your breathing is an important part of yoga. In yoga, breath signifies your vital energy. Yoga teaches that controlling your breathing can help you control your body and quiet your mind. Poses: Yoga poses, also called postures, are a series of movements designed to increase strength and flexibility. Poses range from lying on the floor while completely relaxed to difficult postures that may have you stretching your physical limits. Improved fitness: Practicing yoga can lead to improved balance, flexibility, range of motion and strength. And this means you're less likely to injure yourself in other physical endeavors or in your daily activities. Management of chronic conditions: Yoga can help reduce risk factors for chronic diseases, such as heart disease and high blood pressure. Yoga might also help alleviate chronic conditions, such as depression, pain, anxiety and insomnia. Stress reduction: A number of studies have shown that yoga can help reduce stress and anxiety. It can also enhance your mood and overall sense of well-being. 10. The effectiveness of whatever strategies are used to manage acute anxiety will be improved if after each strategy is used, it is evaluated. This can be done by (a) noticing the physical, mental and behavioral signs of acute anxiety, (b) selecting a coping strategy for reducing acute anxiety, (c) evaluating whether or not the strategy worked by reassessing the level of severity, and (d) maintaining the use of the strategy. If there has been no change or an increase in acute anxiety levels, try using other strategies.